Luscious 4-6 in. wide, double apricot flowers. 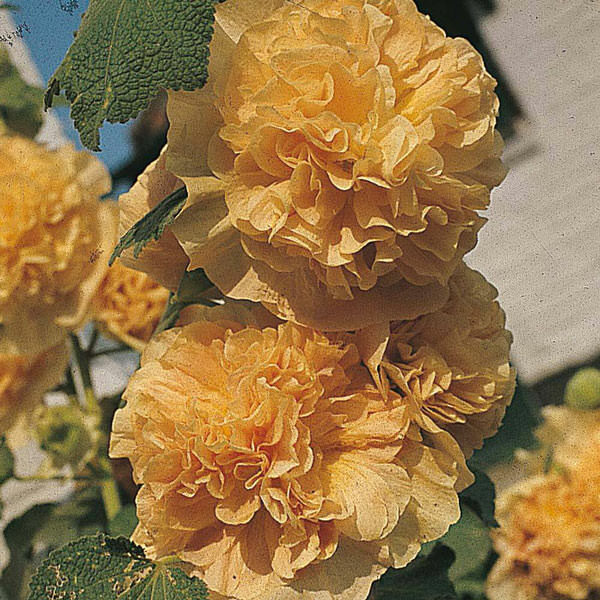 Chater's Double Apricot hollyhock begins to bloom in early to mid summer, produces impressive 5-7 ft. tall flower spikes. Cut stalks back hard after bloom, plants repeat flower in late summer and fall. Provide rich soil and regular water for best performance. Chater's Double Apricot hollyhock is a biennial or short-lived perennial which is winter hardy to zone 3.